While growing up in West Dallas, Vicente Argueta’s parents kept him busy. They signed him up for sports and after school clubs. They also sent him to Trinity River Mission, a neighborhood nonprofit that provides after-school tutoring, mentoring and scholarships to low-income students. Through TRM, Argueta visited college campuses and earned the group’s $4,000 Believe and Achieve scholarship when he graduated from high school. Now, the program Argueta credits with helping him get to college finds its scholarship fund strained because of the success it has had in getting its seniors to graduate from high school and seek college or vocational training. Gloria Lopez, the group’s CEO, said she became aware of the issue last year after the Dallas Foundation, a nonprofit that manages TRM’s scholarship funds, notified her that TRM had awarded almost more scholarships than it had funds to fulfill. Lopez said that as things stand now, TRM has about $190,000 to pay out in scholarship money to former students. But if every former student claimed the entirety of their balances, the fund would be almost $32,000 in the red. But that hasn’t happened yet thanks to a combination of factors. Some graduates, Lopez said, don’t claim their scholarships and forfeit them after two years of being academically inactive. Others simply don’t draw their amounts every semester. Still, Lopez said that’s too close for comfort, especially since she expects 31 seniors to obtain the Believe and Achieve scholarship next spring. Originally established in the 1960s, TRM served the Native American population that lived in West Dallas. Around the ‘80s, Lopez said, is when the demographics of the area changed and the mission began serving mostly Hispanic children. There’s also the fact that graduates cannot pull out the entire $4000 at once. Withdrawals are staggered to $500 every semester, but as more students complete dual-credit college courses, their shortened college careers mean they’re able to withdraw $1,000 every semester. 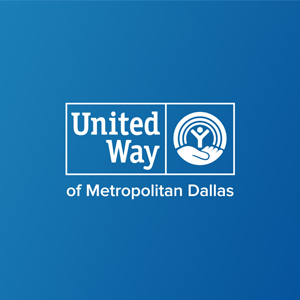 The fund got some help this past North Texas Giving Day, Lopez said, as the mission raised about $42,000 specifically for the Believe and Achieve program. It was in 1994 when TRM awarded the first Believe and Achieve Scholarships. Lopez herself received one in 1998. She said that for her, ensuring future scholarships is a very personal mission. Nowadays, Lopez said TRM aims to serve about 550 students in grades K-12 every year. Students from all around Dallas are welcome to apply, but most live in West Dallas. They get help in areas like math, reading, science and help with their homework. Lopez said she wants to see the senior class expand beyond 30, but she also wants to increase the number of students the program serves overall because about 500 students are currently on the waiting list. In sixth grade, students transition to the Believe and Achieve program, during which they receive mentoring and visit college campuses. About 95 percent of these students graduate from high school and about 90 percent enroll in college or vocational training. Argueta said it was this exposure to different schools that helped him realize that the world was much bigger than Dallas and ultimately pushed him to head to Iowa to pursue a degree in marketing at Simpson College. He now lives in West Des Moines and works as a field account representative for HD Supply, a national industry distributor. Maria Ortiz, a parent of two current TRM students and one who graduated last year, said that the mission provides plenty of support for both students and parents. She said the mission provided her with guidance to be able to help her three kids, Alexandra and Steven Lopez and Jesus Hernandez, with homework and other school matters. Ortiz said she wouldn’t have been able to take her daughter to different college campuses, but she’s grateful that the mission was able to. Her daughter Alexandra, now attends Earlham College in Indiana, where she’s studying Spanish and Hispanic Studies. At a recent Moms on a Mission fundraiser, an event held every third Wednesday of the month to raise funds for the Believe and Achieve program, head cook Eva Ramos and a few volunteers worked in the kitchen, serving area office workers and fundraiser usuals.